Barchester Healthcare Founder, Mike Parsons along with the Care and Wellbeing Fund and Nesta Impact Investments have together invested £1.5m into a radical new outings service for older and vulnerable adults in care by award winning social enterprise Oomph! Wellness. Out and About provides an end-to-end excursions solution including transport, drivers and a tailored schedule of trips for care providers. In spite of huge pressures on social care budgets, care homes still need to provide wellbeing activities, but are searching for new ways to deliver more for less. Oomph!’s excursion service will typically allow homes that organise outings themselves to benefit from up to 3 times more trips for half the cost according to analysis by Deloitte.¹ The service will provide up to 6 trips a month for a flat fee. Prices will start from £160 per excursion, putting regular outings within reach of services that can’t currently offer them. In total, Oomph! is spending £4m to put the Out and About service on the road in five regions² following a successful pilot. The balance of funds has been obtained through debt finance. The company’s first major funding round will grow their minibus fleet to 80 in 2017 reaching 300 by 2020 by which time Oomph! will be rolling out half a million individual journeys nationwide per year³. 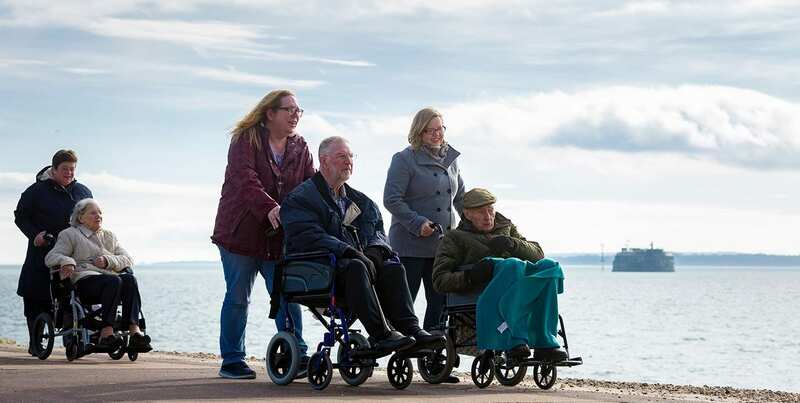 Leading regional care groups including WCS Care, HICA and Cumbric Care Group are amongst others jumping on board when outings start running from March. Day trippers will take in premium locations such as museums, music and sport events, botanic gardens and art galleries as well as outings to markets, pubs and farms. Oomph! Wellness has delivered strong, consistent revenue growth. From seed funding in 2013, it has doubled turnover year on year since 2014. The company is already operating in care settings from the Shetlands to the Channel Isles which will enable it to benefit immediately from economies of scale, pooling capacity for outings between multiple services in a region. Whilst Oomph! is well placed to capitalise on its existing reach and reputation within the care home sector, it is vigorously exploring expansion into adjacent markets such as learning disability services. Social Finance, who manage the Care and Wellbeing Fund, led Oomph!’s first major investment round providing £800,000. Oomph! (www.oomph-wellness.org) is an award-winning social enterprise dedicated to transforming the mental, physical and emotional wellbeing of older and vulnerable adults. We provide training, support and services to enable anyone working in care or community settings to deliver outstanding, sustainable activity programmes. Working with care groups, local authorities and community support organisations across the UK we prove our impact every step of the way and lead the industry in how we track health and wellbeing outcomes. You can read some of the remarkable and inspiring results of our work with partners in our latest Annual Impact Report at www.oomph-wellness.org/impact/ . 1. Deloitte analysis of for profit older adult care homes: 55% provide a minibus service (owned, leased or hired). Average cost £1800pm for av. 2 excursions v.s. Out and About costing under £900 for 6 excursions. 2. Initial launch regions are South East, South Wales, Liverpool and North West, East Yorkshire and East Midlands. 4. 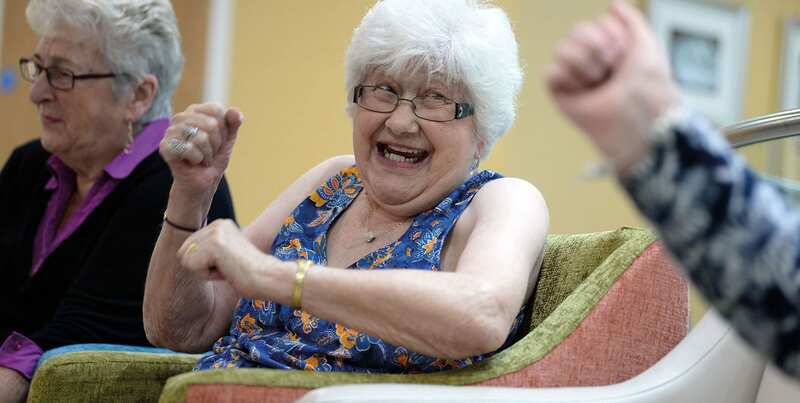 NICE’s Mental Wellbeing of Older People in Care Homes standard shows that social activities are now a factor the Care Quality Commission (CQC) considers when rating care homes. 5. The Care and Wellbeing Fund is a £12 million investment fund, managed by Social Finance. The fund is being used to develop and scale new and existing community care services for people affected by cancer and other long term conditions.